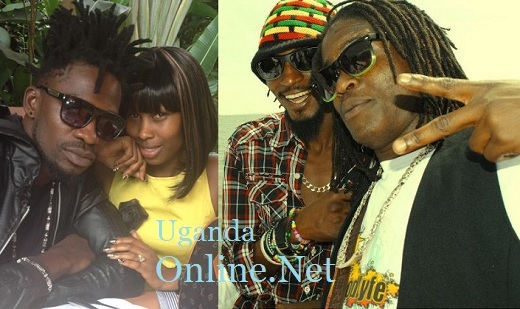 The Goodlyfe Crew duo of Moze Radio and Weasel are fresh from their Easter Euro Tour but before they even settle ahead of their welcome party at Club Venom on (Wed 10), they have gotten a pat on the back from none other than Demakakana star, Bobi Wine. In his words Bobi says: "Uganda has always produced outstanding artists over time, however in this generation, we are blessed to have another exclusively talented duo, Radio and Weasel. Even those who do not like these boys cannot stand and say their music is not good. I am really proud of those CRAZY BOYS. The day will be 10th May, at hotel Africana....I will be there and am sure u will too.....let's love our industry and those that contribute to it." 'Big Up Bobi Wine' was Weasel's response, as Moze Radio had this to say:"Tru blood...we're all trying to raise da bar and stand proud among other giants...Thanks for the love..respect bigman...bless"
This comment had over 800 likes, 70 shares and over 500 comments which were enhanced with the thread within thread flow. This statement came two days after the 'By Far' singer attended the celebrity service by Pastor Wilson Bugembe at his Light the World church where he left the followers excited about his preaching antics. Bobi Wine is among the artistes who will perform during the Goodlyfe's latest album launch. Others include the 'Ndibulungi' singer, Juliana Kanyomozi and Iryn Namubiru of the 'Tebiba Bingi' fame.